The Parent Satisfaction Survey helps the state to determine parents’ perception of the success of parent engagement between the local school and themselves. The information is gathered as a component of the State Performance Plan, Indicator 8: Percent of parents with a student receiving special education services who report that schools facilitated parent involvement as a means of improving results for children with disabilities. 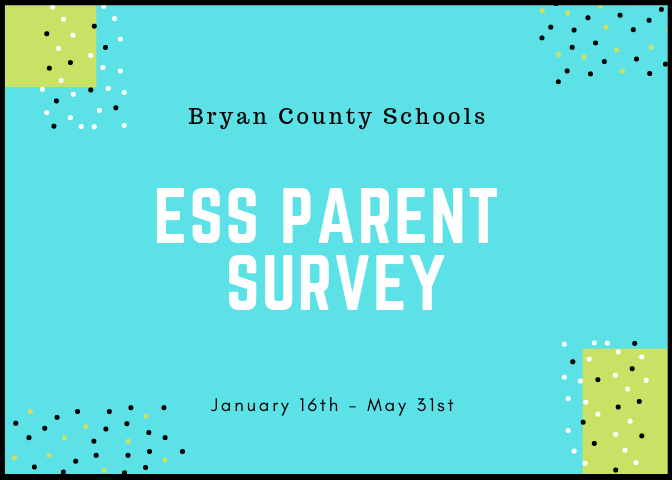 If you are the parent of a student receiving special education services from Bryan County Schools, please complete this survey.